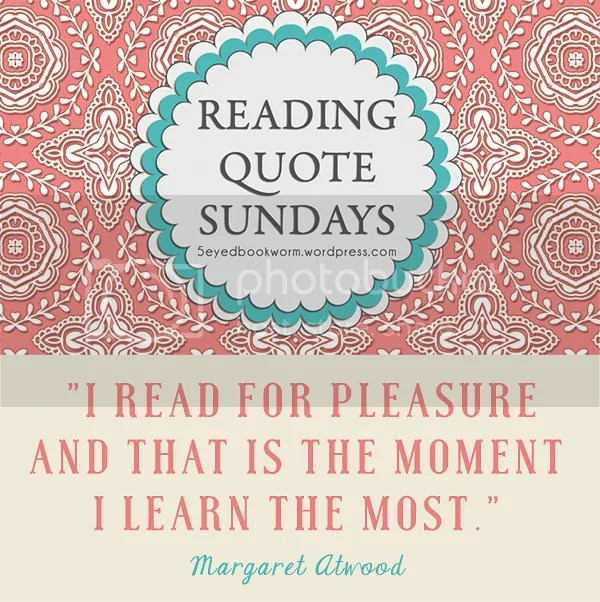 In my second Reading Quote Sundays, I wrote how I started reading. I didn’t develop a habit of reading when I was younger so I guess I can say that I missed out a lot when it came to reading books. Back in college, I completely forgot about it, reading only (for pleasure) one to three books a year, focusing more on magazines and my textbooks. When I graduated I have completely abandoned reading any book. When I look back at those times, it makes me a little sad. I rediscovered my love for reading last year and I hope I won’t turn my back on books again. In 2011, I discovered Goodreads and it somehow sparked that interest again. However, I wasn’t picky with what I read. Most of the books I read were owned by my sister even if I had my own collection of books. There wasn’t really a book that could bring back that old desire to read a lot. In 2012, I only read 8 books. That year though was special. I discovered Banana Yoshimoto’s The Lake. To date, I’ve read it three times already. Why? Because I loved it. A lot. Jane Eyre is one of my favorite books of all time. I have two copies in my bookshelf, ready to be read again. I think I’ve read it three times now. The character of Jane Eyre appealed to me like no other. Here’s a woman who is strong and intelligent. I admired her and empathized with her, I delighted in reading her thoughts and I especially loved that love story. What are the books that you have read more than once? 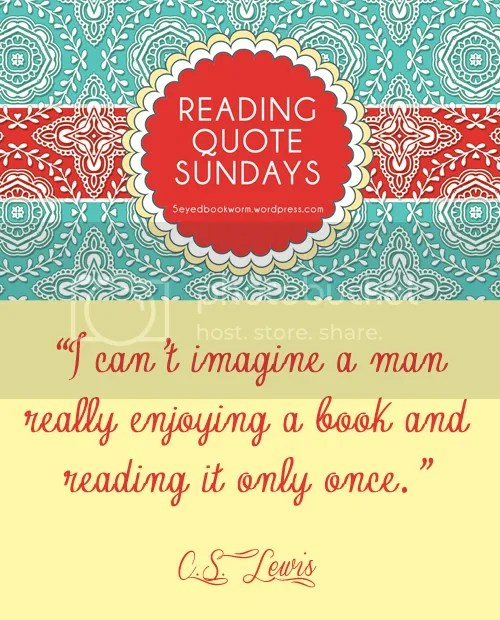 What are your reasons for reading it again? It is true, isn’t it? 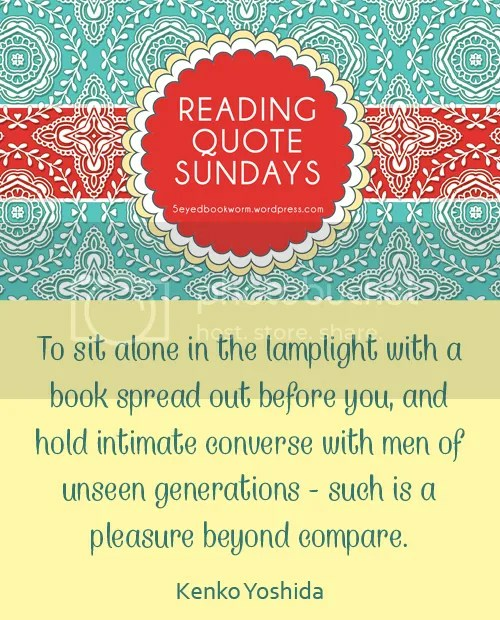 When we are alone with a book, we seem to have conversations with the characters and the author him/herself. It’s one of the things I appreciate about reading. I’m so glad I found the inspiration to read again after all these years. 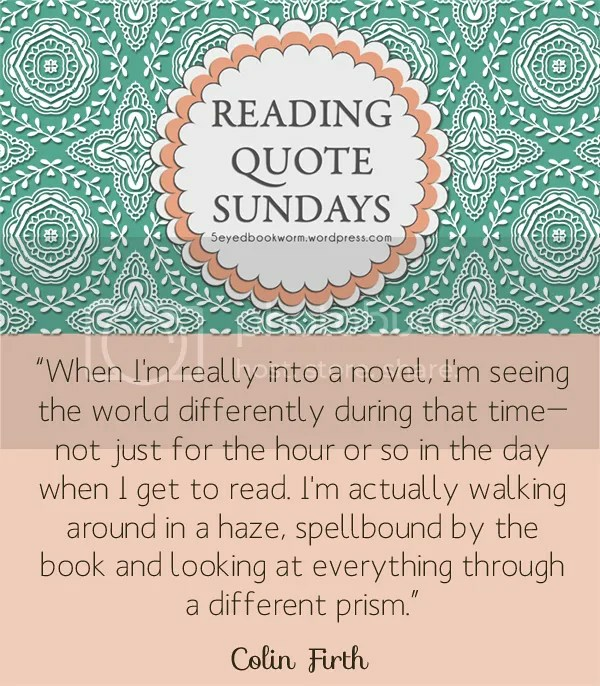 Today is Haruki Murakami’s birthday and what better way to celebrate it here than to choose this reading quote from him. Haruki Murakami is one of my favorite authors. I discovered him only last year and I read a total of 5 books from him. I started with his memoir: “What I Talk About When I Talk About Running”. If you haven’t heard yet, Colorless Tsukuru Tazaki and His Years of Pilgrimage will available in English in August 2014. When I read about it last year, I posted this in the Haruki Murakami Fans Goodreads Group. I can imagine that a lot of people are pretty excited about it. 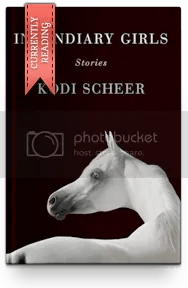 Meanwhile, the German translation is already available and you can take a peek of its cover here. I’ve been a follower of Haruki Murakami Stuff: A Murakami Fan Blog for a while now. They’re got interesting stuff about the author himself and books he wrote. I especially love the photos of different book covers from different countries. Have you read any of Haruki Murakami’s books? Are you looking forward to reading his new book? 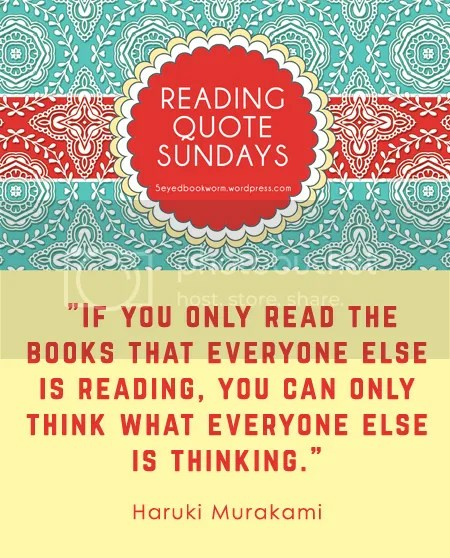 Categories: Reading Quote Sundays | Tags: Haruki Murakami, reading quotes | Permalink.